I took a detour through South Park this morning in the hope of catching an extraordinary edition of that classic Oxford view. We had our first morning mist of the autumn and I’d hoped to see storybook spires pushing through pools of white cloud. It didn’t happen. From the top of Headington Hill Oxford was in total whiteout. Not a dreaming spire to be seen. Still, freewheeling through the park was reason enough for taking the diversion. 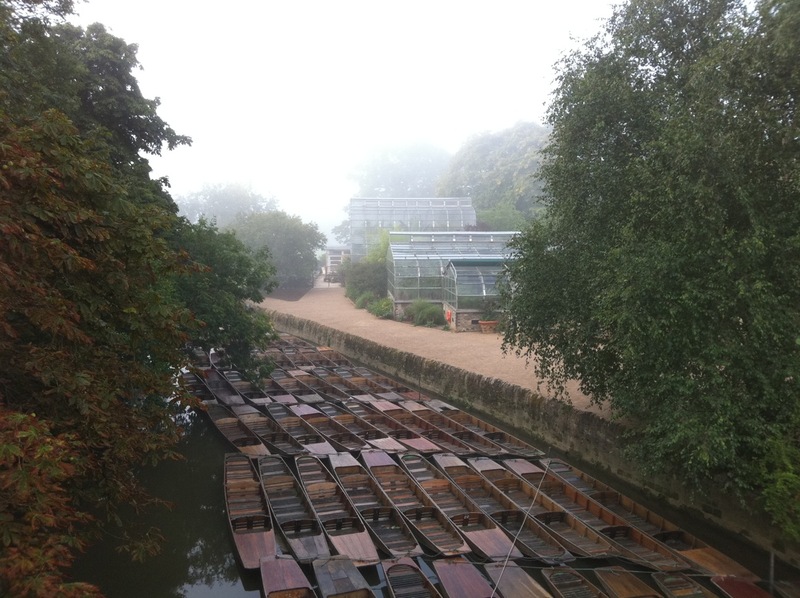 And, by way of compensation, here’s the view towards the Botanic Garden from Magdalen Bridge.